ast Lite Series IP PBX is specifically targeted for SME sector with Extensions ranging from 20 to 100. With IP PBX you can reduce the cabling and less maintenance cost. Technical Offerings & System Solutions Pvt. Ltd.
- Auto-Attendant, Compact Footprint, Dual 3 Party Conferences, No Speech Path Limitations, 100% Non Blocking, 1 Port PFT, Power Fail Transfer, CLI (both DTMF and FSK). World Phone provides all of the call management features that you would expect from an IP PBX platform, but without the costs. Unlike other solutions, we also integrates with legacy technologies such as ISDN and analogue, providing a truly converged communications. - Supports Up to 16 Concurrent Calls. 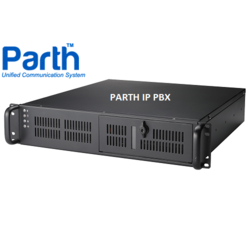 To fulfill official needs of patrons, we are offering IP PBX System. These are very easy to obtain for medium and large sized working area. Moreover to this, we ensure that the work done by experts is much convenient. Besides, customers may obtain this from us at lower expenses. flexibly configured and expanded according to the your needs. It has 2 fxs in one compact system. Being a leader in this industry, we are devoted towards providing a premium quality array of Digital PBX System.